The expected cost for Medicare is a common concern for many who are preparing to make the transition. It may seem confusing and overwhelming however we will explain below what to expect. The cost for Medicare Part A for most people is usually zero. If you (or a spouse) worked 10+years (40 quarters) in the U.S., you have already paid for Part A via payroll taxes. If you have to buy Part A, you will pay up to $437/month for it in 2019. People with less than 40 quarters work experience but more than 30 quarters can get a pro-rated premium of $240 per month. 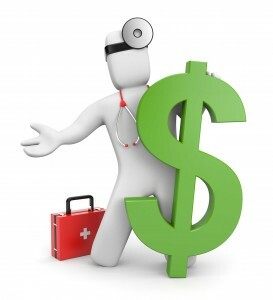 The cost for Medicare Part B is based on your modified adjusted gross income. The items that contribute to your modified adjusted gross income (MAGI) include any money earned through wages, interest, required minimum dividends from investments, capital gains, Social Security benefits, and tax-deferred pensions. Most people new to Medicare on or after January 2019 will pay $135.50 for Part B, or an adjusted amount as listed below if you have higher income than most people. Social Security will deduct your Part B premium from your Social Security check monthly. If you have not enrolled in Social Security income benefits yet, they’ll bill you quarterly. Review chart below to determine your Medicare Part B cost. Just like Part B, your costs for Part D varies based on income. Your Medicare Part D Premiums also vary by plan. The average nationwide monthly premium for 2019 is $33.19, although plan costs vary depending on the plan you choose and where you live. Each state may have 20 or more plans to choose from. You will pay the plans published premium unless you are in a higher income bracket. If you are in a higher income bracket, you will pay the plans monthly cost as well as the income-related monthly adjustment amount. It’s important to factor this in if you are comparing the potential costs for Medicare Part D against other insurance, such as employer insurance. To determine your Medicare cost for Part D drug plans, review the table below. It shows the amount that you will pay for Part D in 2019. If you have had a change in income and are not making as much as you did from previous tax returns then you may file an appeal with Social Security. We’ve briefly discussed the cost of Medicare Part A, Part B and Part D however call us directly if you would like more information on Supplemental coverage!